Code from Matrix Completion for the Independence Model from Kaie Kubjas' github page. 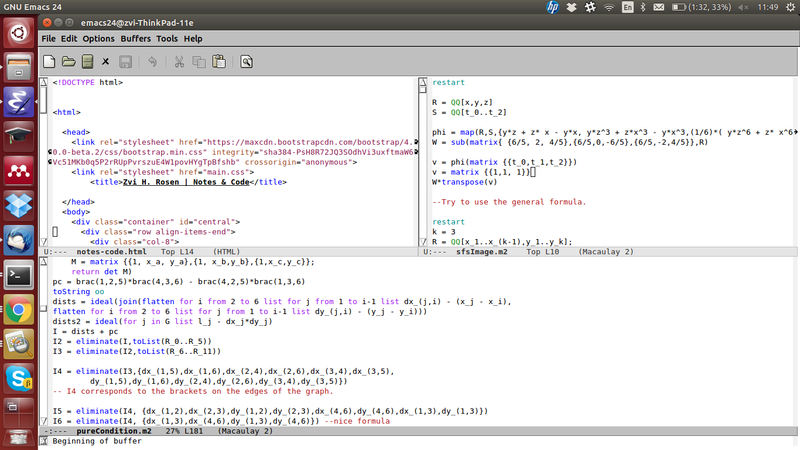 Code from Computing Algebraic Matroids . Graph Curves, written for Bernd Sturmfels' Algebraic Curves course. My notes were not edited by the lecturers, and may contain errors. Thanks to Alejandro Morales for supplying images and Alyssa Palfreyman for supplementing my notes.